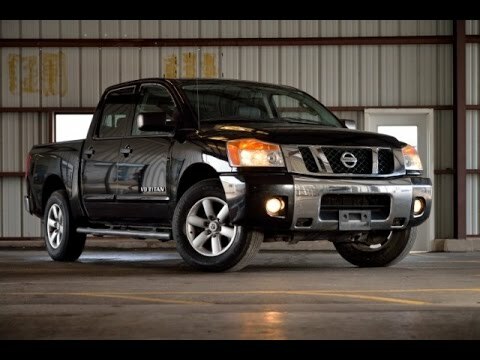 If you're looking for a big, powerful truck that's out of the mainstream in both style and features, has a really nice interior, a stump-pulling V8 engine and a host of innovations designed around real pickup-truck functions, take a look at the 2010 Nissan Titan. My 2010 Nissan Titan has been the best vehicle I have owned. I purchased my pre owned 2010 Nissan Titan 3 years ago. Since I have owned it, I have not had to have any work on it or have had to replace anything but the tires. The only time it is had to go into the shop was for routine maintenance. I have driven it locally, on road trips, and off-road in the rocky mountains. I haven't owned anything that compares to the comfort and I have been very pleased with the features. It rides smooth and handles bumpy roads and curves with ease. The mpg has not changed at all over the years as it has with other vehicles I have owned. The interior has survived my large dog, it still looks great. It is reliable in the heavy snow and rain, it waste a little too much gas, every now and then it overheats but that is only during really hot weather. We've driven it on vacation and it never. Caused any problems. It does take a little getting use to when you park. But besides that it is a great truck. Keep an eye on your speedometer because it does have power.